Just Julie B's Stampin' Space: Fun Party Favors! These were little party favors that I put together for Jessie's birthday dinner last Saturday. We had a day of wine tasting - just three wineries, and a nice lunch at one of them. Then we had dinner at our favorite restaurant in Cambria that night. So I had made these little 'favors' to put out at everyone's place setting at the dinner table. The wine glasses are little miniatures from Pier One. They hold about 1/2 cup of M&M's. I thought they were perfect for the occasion! I made the little tags to hang from them with circle punches and the 'let's celebrate' from the On Your Birthday set. 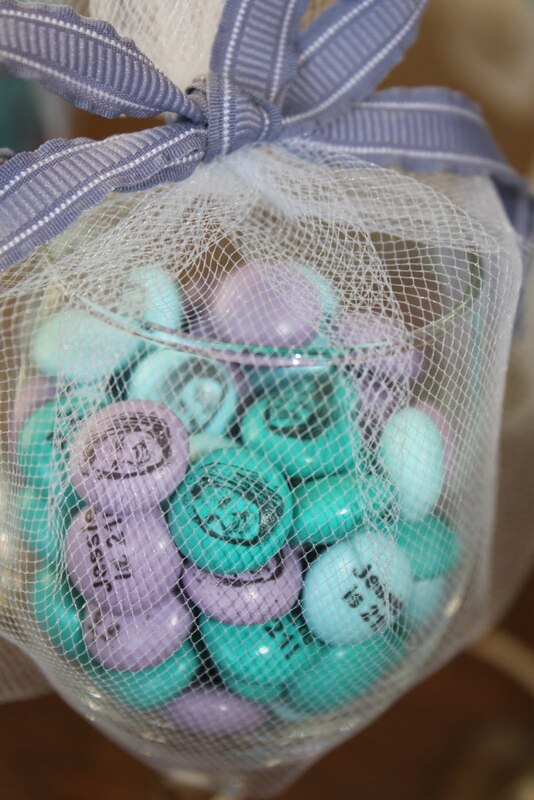 And then I special ordered the M&M's online - they have her picture on some and "Jessie is 21!" on the others. I think they turned out super cute! Happy Birthday to your daughter. My son turned 18 on the 23rd - they share the same special day. 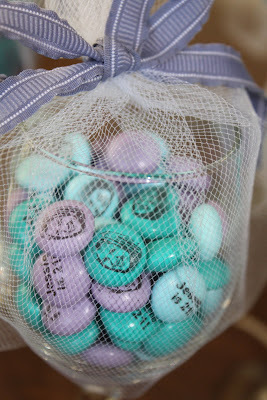 I love your m&m favors! Super cute! This is AWESOME! She must have loved them! 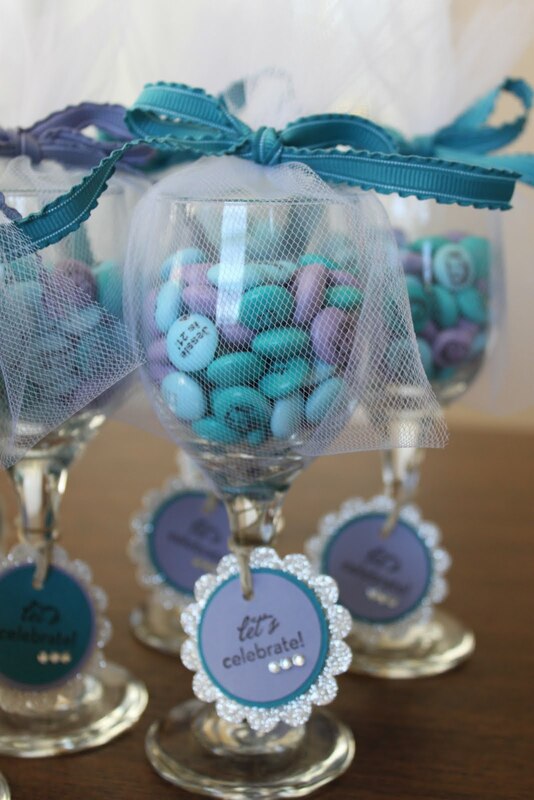 Love the favors, great idea! I LOVED these, Mom!! Thank you so much for all of the thought & love you put into my birthday! You're the best! Hello! I know this post is from 2011 but can you explain how you have the tulle around the glass? Did you use pre-cut circle tulle?